Call our office to receive our free informational booklet - "The 10 Commandments For People Considering Divorce". Jay is truly a saint. 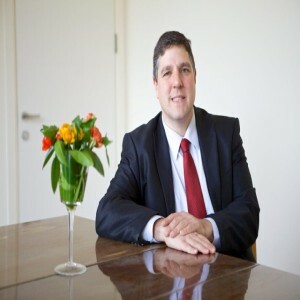 His free downloadable book was filled with valuable information that helped educate me on the Israeli legal system and understand the divorce process, in my own language. I cannot say enough how much I needed this help as I am here with no family to turn to. In conversation with Jay, it is clear how knowledgeable he is on cases like mine. I am still early on in the process of my divorce, but if we cannot come to an agreement, and I need to hire a lawyer, I will definitely choose Jay Hait to represent me. I am so appreciative for Jay and all of his work. Jay is a great lawyer and an outstanding advocate for his clients. I felt confident in his hands during a very trying and difficult situation. He provided not only critical legal advice but sage advice that comes from years of experience and successful resolutions dealing with all kinds of people. His patience and persistence helped avoid conflict and digression during a long tumultuous process. With Jay and his staff, we stayed focus and achieved a fair and amicable resolution. Jay is an incredible lawyer who took the time to provide guidance and clarity during this very overwhelming and confusing time in my life. As an Anglo woman living in Israel, navigating through the legal system and all the Hebrew has been difficult to say the least, but I feel confident now that I have met Jay . Jay was extremely helpful and supportive through the whole difficult and trying time. Even before I hired him as my lawyer he made himself available for phone conversations and gave me helpful counsel. His support staff, Yafit, was also very professional and supportive. I was very thankful for their help and would recommend them to anyone looking for a family lawyer. I had a phone consultation with Jay who offered great advice and direction in moving forward with a complicated situation. He was very caring and straight forward and was able to walk me through the next steps. I got off the phone confident in knowing what to do next and felt I had someone I could turn to again if the case gets more complicated. Thanks Jay! I suggest reading Jay's book as a first step if you are involved in a divorce. From there you will get a sense of the man (as well as the rabbit hole you are about to go down) -- strongly emotionally intelligent, professionally knowledgeable with a view of both the forest and the trees, and a mensch. I would like to thank Jay very, very much for all his time. It is rare to get such detailed, accurate and straightforward advice as he gives. With Jay in the picture, I knew what to expect at each stage of the proceedings, he made me aware of the advantages and disadvantages of each option that came up along the way and he let me sleep easily at night knowing the overall plan and goals for as smooth a transition as possible for the children. He's already been incredibly helpful to the people I have recommended to him and I will continue telling anyone in need of legal assistance to be sure to see him. There is an old joke about finding a lawyer with a heart. Jay Hait is that rare exception. He is helping me with a difficult legal challenge. It's Jay's combination of legal skill and human understanding that makes him so valuable. I've been around the law my whole life, My Uncle was the President of the State Bar Association. He would approve of my choice of attorneys. When you have a legal problem, Contact Jay Hait. he's responsive, professional and in short, a mensch. Hire him. You'll be glad you did. I certainly am. I was in a difficult legal place, and Jay came to my rescue. He spent countless hours working to get it resolved. He's a professional and a mentch.